Ensure your vehicle is in a roadworthy condition: That means properly taxed, has valid insurance for business use, has a valid NCT certificate and is serviced according to the manufacturer’s recommendations. Plan ahead: plan routes before setting off to avoid having to consult maps or satellite navigation systems whilst driving. Schedule time for regular breaks. Make sure your mobile phone is fully charged. You will need it in event of breakdown or emergency. Check your vehicle: walk around your vehicle and look for any defects. Check your driving position. You should be able to reach and operate controls without effort. Shoulder blades in good contact with back of seat. Check your head restraint. Make sure that head restraint at least as high as the top of your head and as close to the rear of your head as possible. Keep a Hi-Viz jacket in your cab/glove compartment. Carry a torch, first aid kit and warning triangle. Drive with your safety belt fastened. Make sure that all passengers are wearing their safety belts before driving. Limit conversations with passengers: don’t get involved in any heated debates while driving. Obey road signs. In particular road signs warning of road works. Restrain all loads carried. this includes documents, samples, IT equipment, boxes. Reverse into parking spots and then drive out, where possible. Report any collisions or near misses to your employer. Stick to the speed limits. Stop driving if you are feeling tired or sleepy: find somewhere safe to rest straight away. Switch off your mobile phone while driving: pick up messages during scheduled breaks. Carry loads for which the vehicle is unsuited. Drug Drive: remember that even small quantities of illegal drugs and certain medications can affect your judgement, co-ordination and reaction time. Drive too close to the vehicle in front. Keep your distance to allow you to safely stop. Drive if you are feeling tired or fatigued. Snack, drink or smoke at the wheel: schedule in suitable breaks for these activities. Speed: Keep to an appropriate speed suited to the road and weather conditions at any given time. Keep within the assigned speed limits. Stop on hard shoulders of motorways/dual Carriageways, unless in event of breakdown. (Brought to you by the HSA, Road Safety Authority and An Garda Siochana) Download the PDF here. In adverse weather the hazards associated with driving for work increase greatly. In winter especially, darker, shorter days and bad weather such as rain, hail, fog or snow reduce visibility. High winds, ice and slush can make vehicle control more difficult. Winter sun tends to be low and can cause glare. Is driving in adverse weather conditions considered? Who is responsible for telling employees what is expected of them? Are appropriate systems in place for employees who have to drive for work in adverse weather conditions? Do employees know how to handle vehicles [company provided or their own] in adverse weather conditions? Are employees’ familiar with the vehicle manual and any specific advice provided for driving in poor weather conditions? 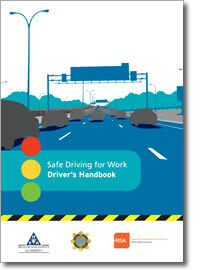 Do you need to consider providing additional driver training for those who drive for work? Is there a plan in place for employees in the event of emergencies such as a collision, breakdown or getting stuck/stranded in snow? Limit travel as far as possible to essential journeys only – ask yourself is the trip necessary? Listen to weather forecasts, travel bulletins and any advice issued by An Garda Síochána [www.garda.ie] or the Road Safety Authority [www.rsa.ie]. Change or delay your journey as appropriate. Plan you journey, stick to major routes where possible. Allow extra time for your journey. Inform someone such as your employer, manager or supervisor where you are going and your estimated arrival time so that an alarm can be raised if you fail to arrive. Turn your lights on to ensure that your vehicle is visible to other road users. Fill your washer bottle with windscreen wash. The concentration used should be appropriate for the weather conditions. Reduce your speed and drive according to the road and weather conditions, maintain greater stopping distances (double in wet weather and ten times greater in icy weather). Wear sunglasses (prescription glasses if required) if the sun is low. Avoid harsh braking or acceleration. Carry out any manoeuvres slowly and carefully. Never feel pressurised to complete a journey if weather conditions are too dangerous. Tyres are in good conditions and inflated to the correct pressure (including the spare). The vehicle has plenty of fuel. Wipers, defrosters and lights are in good working order. An ice-scraper or de-icer is available for ice or snow. A high visibility, reflective jacket or vest in the vehicle cab (so that you can put it on before you leave the vehicle). A torch with extra batteries. A mobile phone – for use only when parked. Warm clothing including hat, gloves and a warm blanket or sleeping bag. Food and a warm drink in a flask. Shovel and material for providing wheel traction if driving on soft ground or snow (such as chains, old carpet, sand, gravel, cat litter or salt). For further information see the Road Safety Authority’s Safety Tips for Severe Weather Conditions. A driver is responsible for their own life, and the lives of other road users. The more you drive, the higher the risk of serious injury or death. Become a safer, more confident, and courteous driver. To provide participants with the information necessary to become a safer, more confident, and courteous driver. Identify potential and immediate hazards while driving and know how to deal with them. Know how to park safely. Consider their attitude to driving. Carry out a vehicle check before setting out on a journey. Understand the implications of current legislation for drivers. Increasing awareness of the risks that employees may face or create while driving for work. Providing a simple, flexible and interactive training experience for employees. Standardising training for all staff. Managing training records and reducing administration overhead. Structured CPD points can be gained from this programme. 1 Hour of learning = 1 CPD point. If you’re interested in having a look at our online Driver Safety course, why not take a test drive of our system today?